A little while back I received a message that there is a shopping venue by the name of the Westfield Derby Shopping Centre in Derby, UK which has a small but pretty impressive arcade setup there. 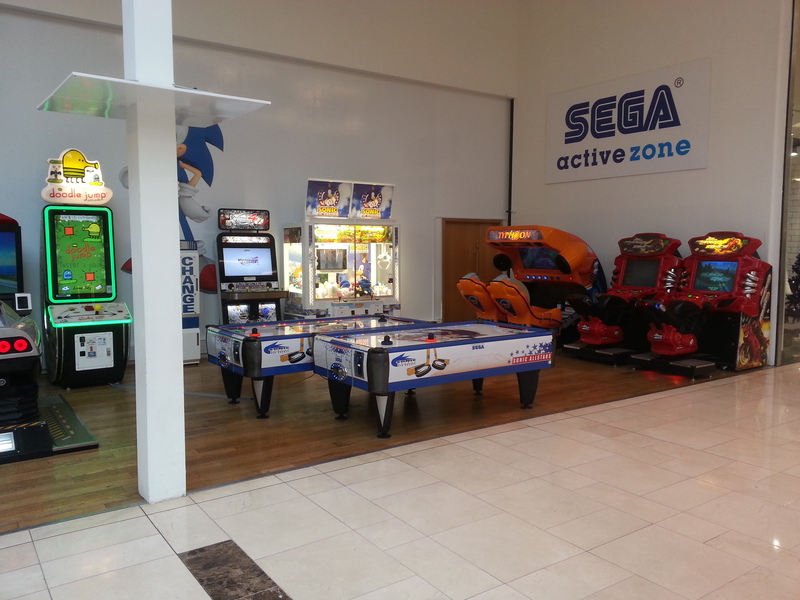 It opened this past September is is called the Sega Active Zone. 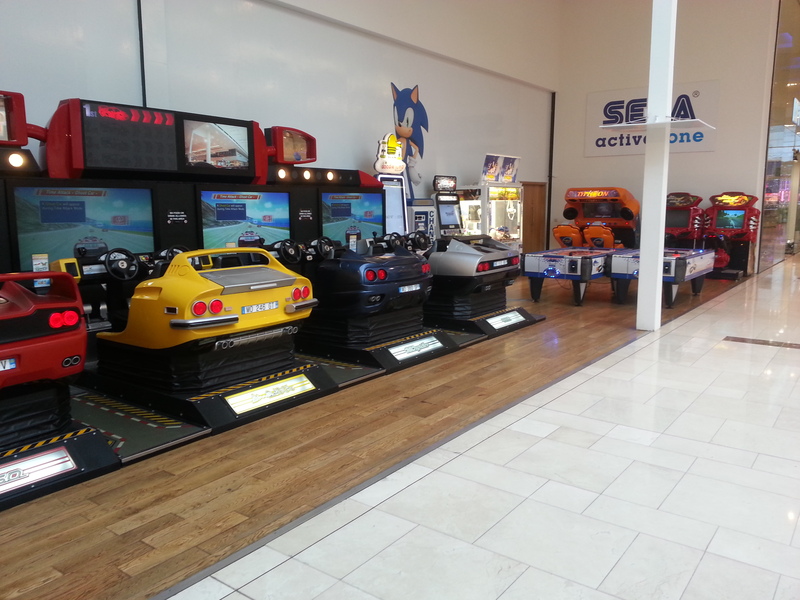 It appears to be setup in conjunction with Sega Amusements UK division with a heavy influence of Sega titles. Thanks to AH contributor Kieran May, here are some photos of the location. So if you are in the area, its one place to unwind after shopping. 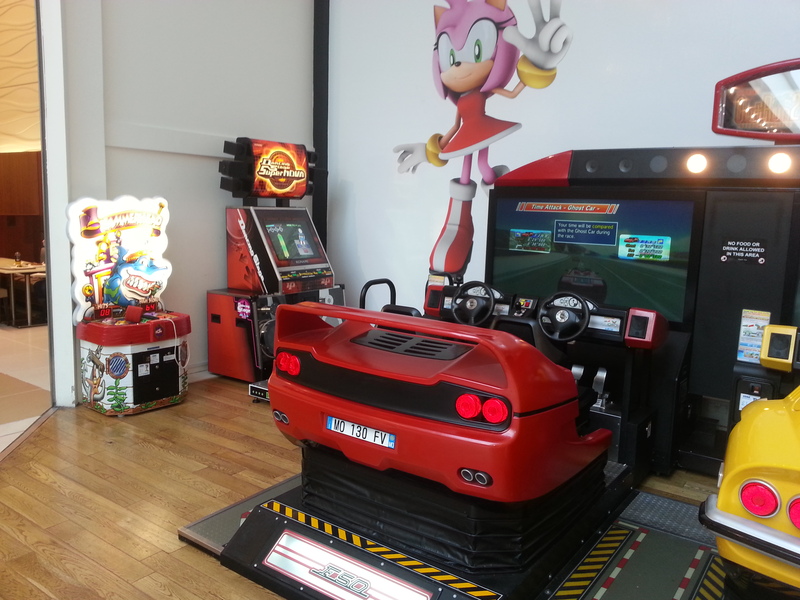 List of the titles found: OutRun 2 SP SDX, Virtua Tennis 4 Standard, Super Bikes, DDR SuperNova, Doodle Jump, Typhoon Mad Wave Motion Theater, a Sonic The Hedgehog UFO crane game, some Sonic themed Air Ride air hockey tables and a Hammerhead whack-a-mole machine. OutRun 2 SDX machines aren’t entirely easy to come by in my experience but the setup easily can draw a crowd in pretty much any situation. Outrun was reasonably priced though compared to most arcades as it’s usually £2 a go to go on it else where.